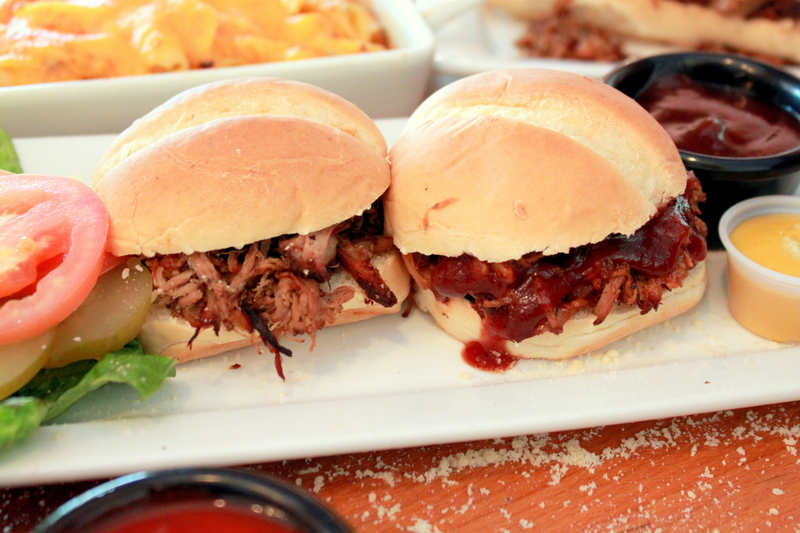 When you are feeling like BBQ, please keep in mind our new sister store MoDish BBQ! 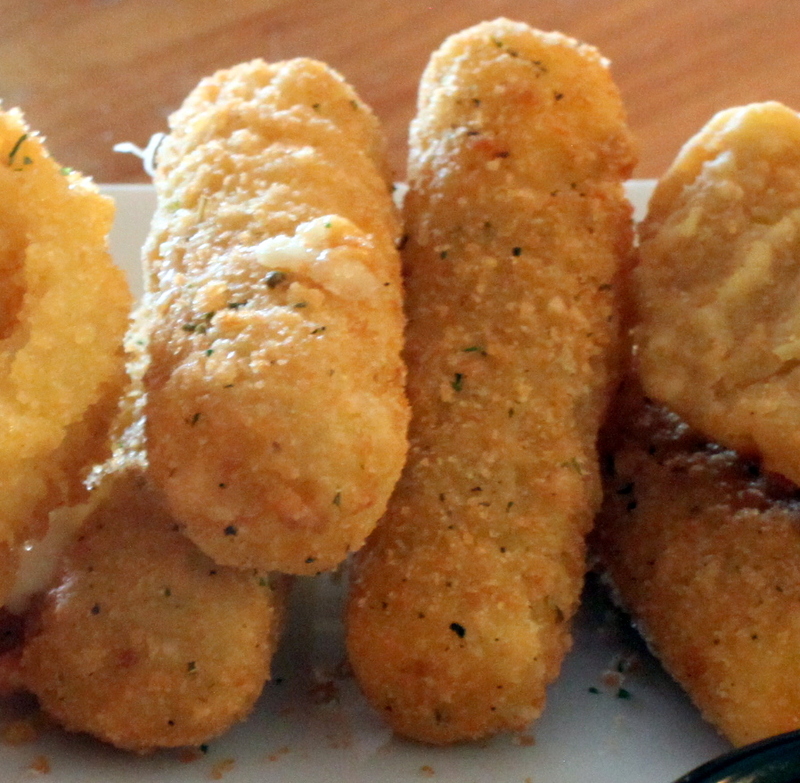 You can order many of the same menu items at both stores.... Pizzas, Salads, Sandwiches, Wings. But Modish has many of the Classic BBQ menu items like Mac N Cheese (not Kraft Mac! ), Corn Bread, Pulled Meats, Tri Tip, Baked Beans and like LT many, many more items! Baby Back Pork Ribs by the individual Rib! You don't have to buy a slab of ribs to get just a taste of them. 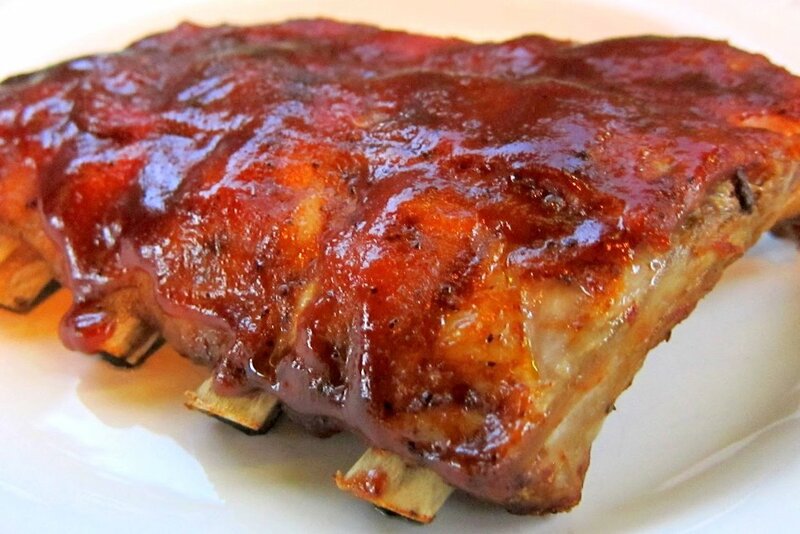 Our amazing slow cooked ribs with your choose BBQ sauces or plain. Great as just a taste of ribs with your meal. We cook our own Baby Back Ribs and smother them with our House BBQ Sauce or choose one of our very own homemade BBQ Sauces. Meat so tender it falls off the bone! Its Back!! Seasoned Oven Roasted Chicken 1/4's. 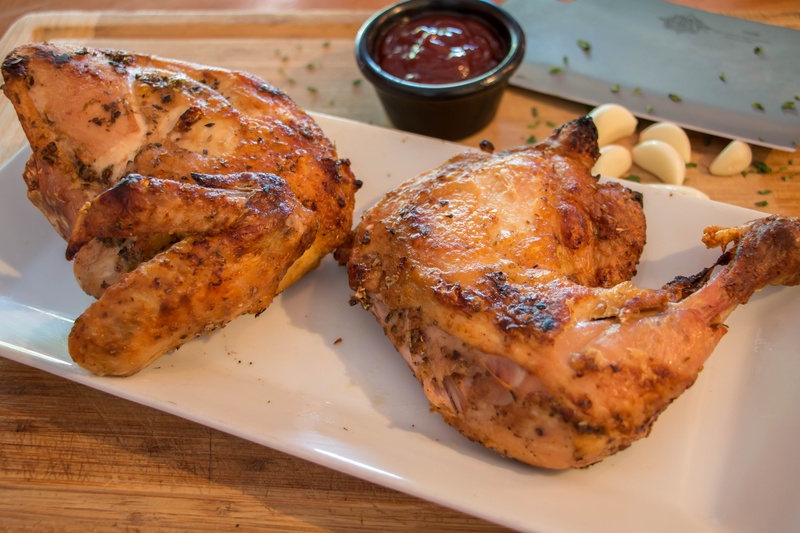 Choose of Roasted, Garlic or BBQ select either white or dark meat. We have an improved way to cook them now. Options for a side of rice, baked potatoes, steak fries or tater tots. Can also add cooked veggies like cut corn or green beans. 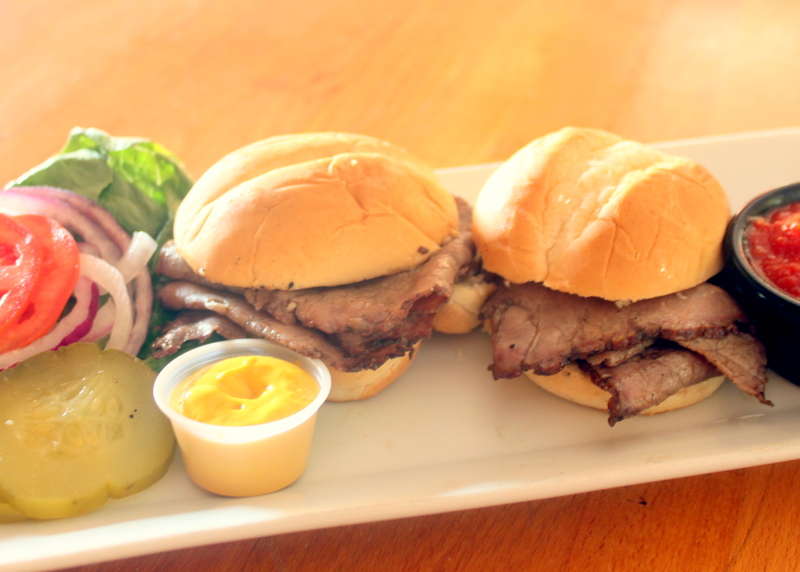 2 Roast Beef Sliders. 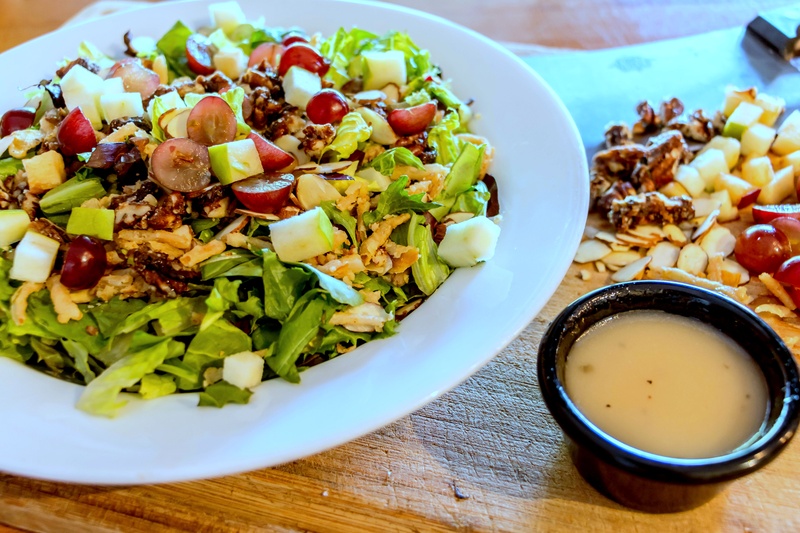 All Dressings come on the side - add them the way you like them! Ketchup, Mustard, Mayo, Lettuce, Onions, Pickles and Tomato. You can also get Bacon, a Pizza Topping. Buy extra Sliders too. 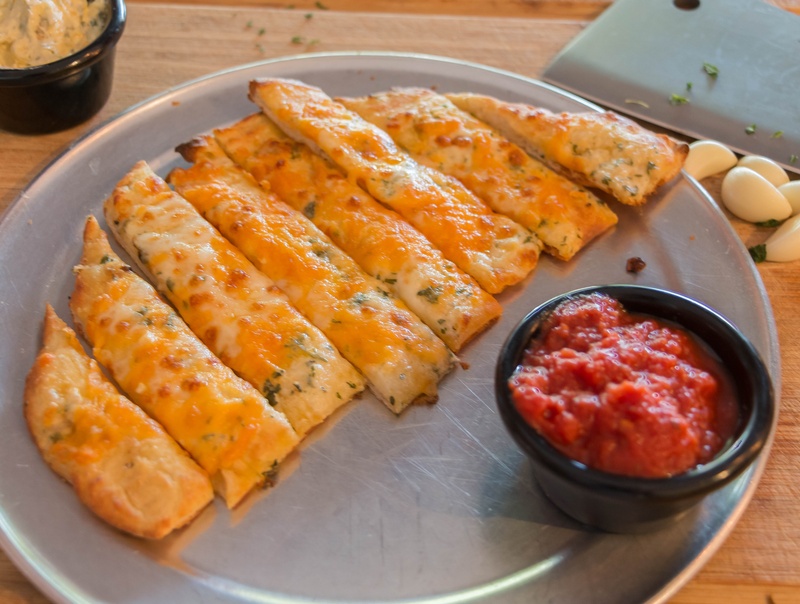 A crunchier flat Bread Stick, still a little chewy, made with Garlic Butter, Parm and a lite sprinkle of Cheddar and Mozz Cheese. 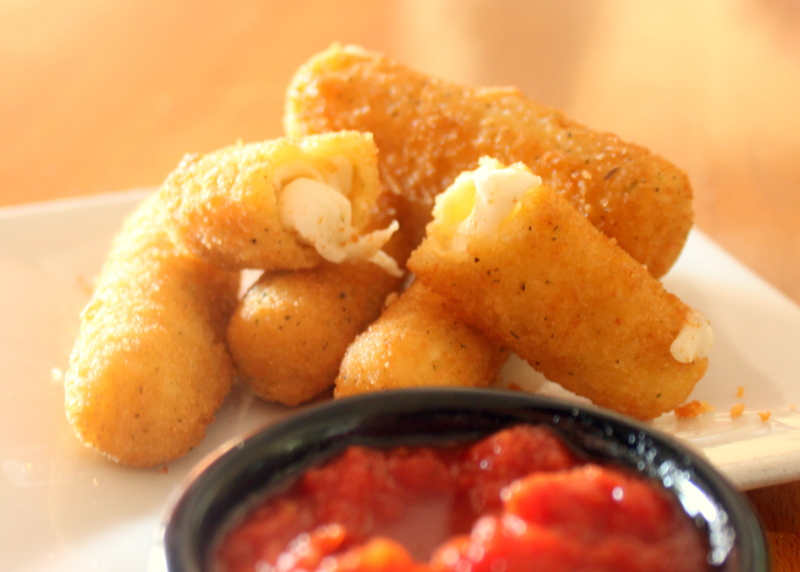 Comes with Red Sauce for dipping or a Garlic Butter Cup. 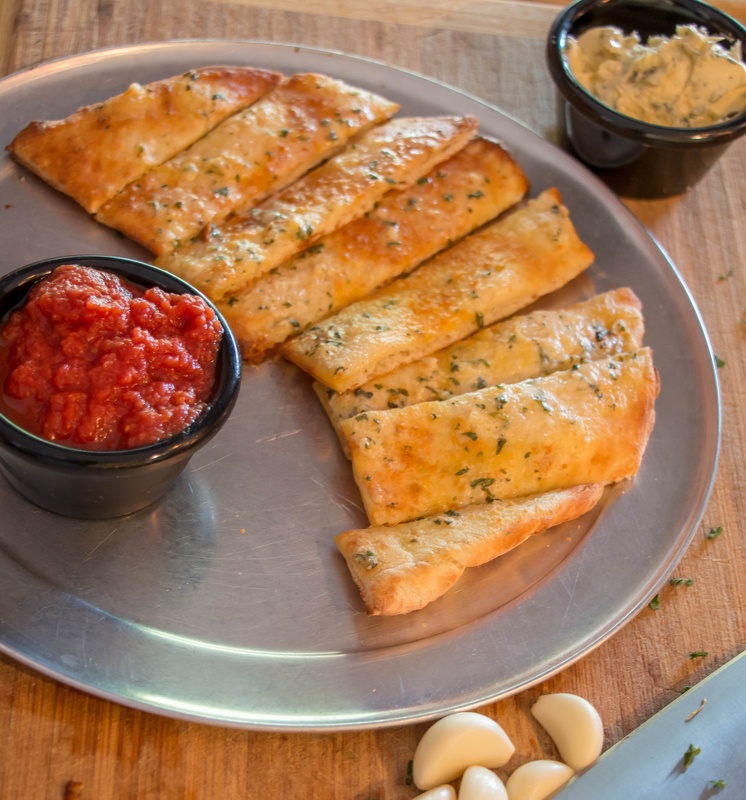 A crunchier flat Bread Stick, still a little chewy, made with Garlic Butter and Parm. Can add a lite coat of Cheddar and Mozz Cheese. 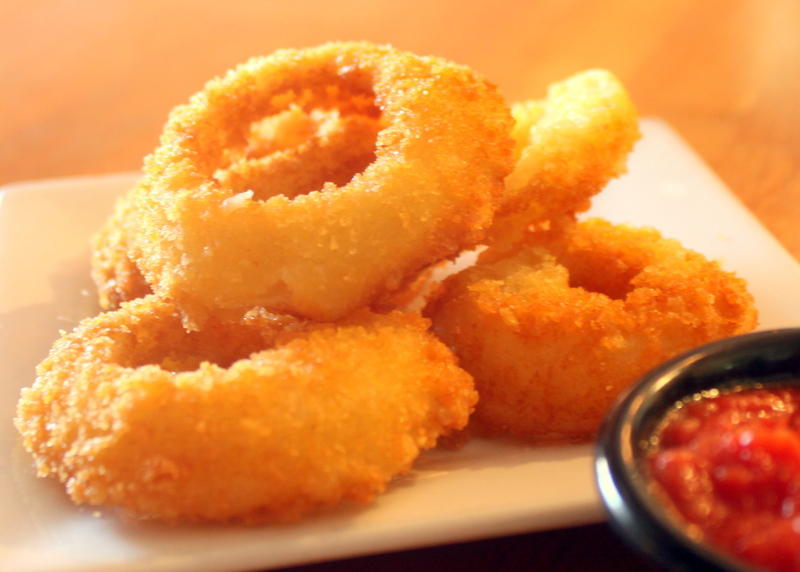 Comes with Red Sauce for dipping or a Garlic Butter Cup. Tomatoes, Basil & Feta on Grilled Ciabatta, Kalamata Olives & Balsamic Vinaigrette Dressing. To Go orders are now delivered with ingredients individually packaged, too hard to deliver. And you can now add ingredients like Avocados, Bacon, Mushrooms and many more. Customize it however you want! We bake our Wings, they aren't fried and smothered with sauce. 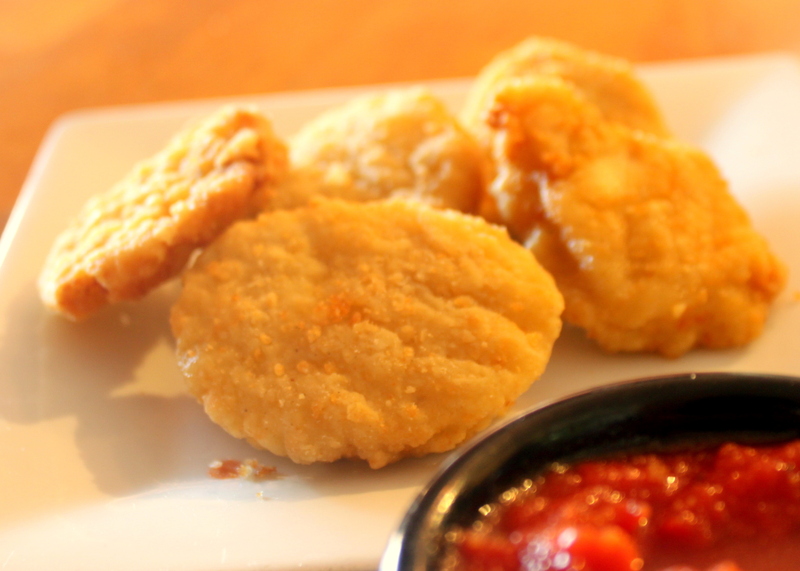 We bake them with the flavoring and sauces at the same time. They are hard to beat! We cook our own Baby Back Pork Ribs and smother them with Sweet Baby Rays BBQ Sauce. Slow Cooked for 4 hours, Meat so tender it falls off the bone! Good without sauce too. 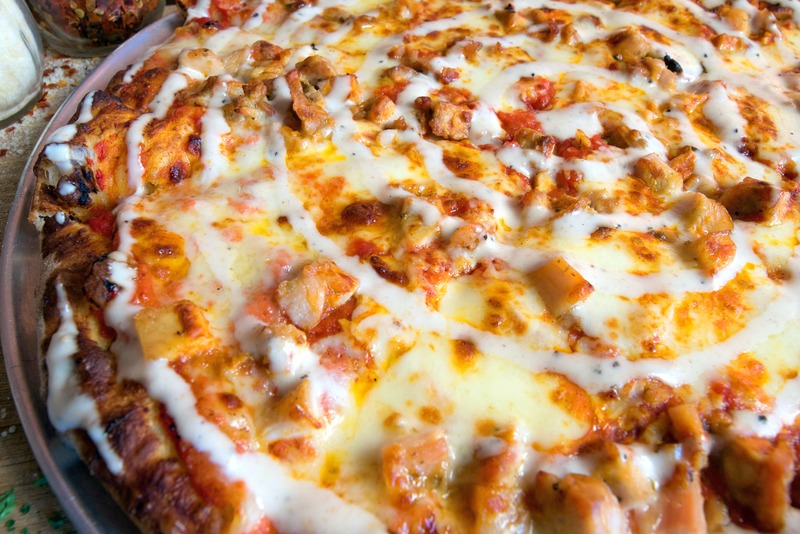 For our Pizzas we use Italian Cheese, Flour and Tomatoes to make our own Sauces. A New York Style Thin Crust, we make dough daily. Premium Toppings: add $0.50, $0.75, $1 & $1.35. Bacon & Homemade Meatballs. Small 10" (6 Slices), Medium 14" (8 Slices), Large 16" (10 Slices), X-large 18" (10 Slices). Small Cheese Pizza - 10"
Ex. Large Cheese Pizza 18"